This past weekend in college football brought us some monumental upsets while setting up some big time matchups this upcoming Saturday. Penn State won in four overtimes to hand Michigan its first loss of the season. Meanwhile, Mack Brown saved his job for at least another few weeks after leading Texas to a Red River Rivalry win against the Oklahoma Sooners at the Cotton Bowl. Aaron Murray and the Georgia Bulldogs saw their National Championship hopes dwindle at home this past Saturday when they lost to #25 Missouri. The big game circled on every college football fan’s calendar this upcoming weekend is the battle of two major ACC powerhouses. #5 Florida State travels to Death Valley to play Heisman hopeful Tajh Boyd and #3 Clemson. The Crimson Tide took care of business this weekend in Lexington against Kentucky, defeating the Wildcats by 41 points. The Tide continues to roll against their opponents and will not be seriously tested until #6 LSU in a few weeks. Alabama football tickets dropped a spot in the TicketIQ Top 25 rankings to $162 average ticket price, a three percent decrease from last week. However Alabama continues to hold the #1 spot in the national rankings. Demand for tickets will always be high for the top team in the nation. Marcus Mariota, another Heisman candidate, has led Oregon to an undefeated start. The Ducks finally got a win against a ranked opponent, this time on the road against #16 Washington. Demand for tickets has been going up with two highly ranked teams still left on the schedule. Oregon’s spot did not change in the TicketIQ Top 25 rankings but did increase by two percent to $178 average ticket price. With more attention focused on Mariota as the 2nd half of the season starts, expect Oregon football tickets to stay high. Although they suffered a heartbreaking four-overtime loss against the Nittany Lions, the Michigan Wolverines continue to hold the top spot in our rankings. It seems as if Michigan football tickets have thrived with close games early in the season. There is no doubt the team has been playing in exciting games that come down to the wire thus far. 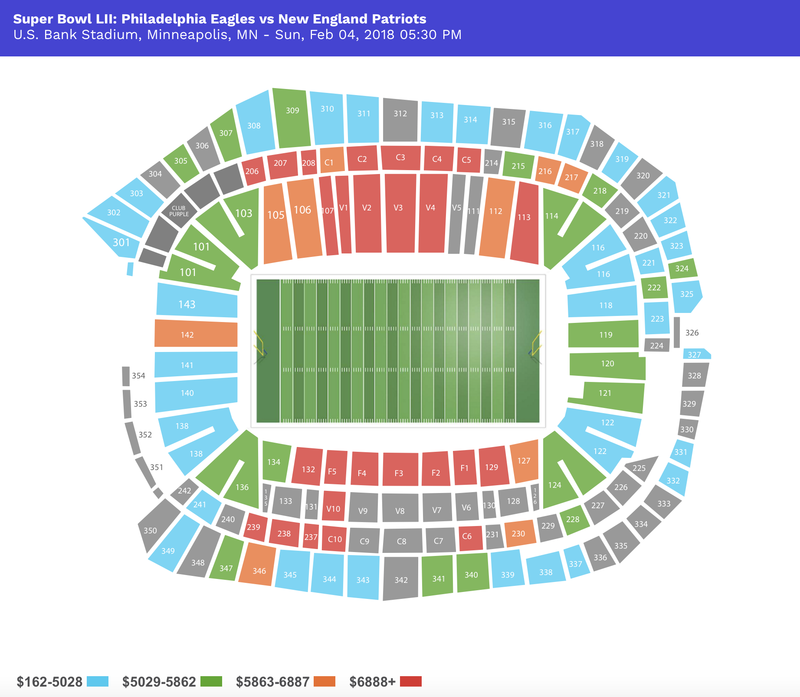 The team’s average ticket price took a one percent fall in the rankings to drop to a $239 average. The Buckeyes had a bye this week, as the team gets ready to host Iowa at the Horseshoe this Saturday. Ohio State does not have a ranked team left on its schedule but does face a tough task in the Michigan Wolverines in the last game of the season. Considering the rest of the Buckeyes’ home slate includes unranked teams such as Iowa, Penn State, and Indiana, the team’s undefeated record and #4 AP ranking are holding them at the #2 spot in the TicketIQ Top 25 rankings. Ohio State football tickets did go down to $229, a three percent decrease from Week 6. Ohio State prices will be dependence upon if they can avoid an upset in the Big Ten. Clemson has elevated their game to the next level this season and is in serious consideration for the National Championship. Their biggest test of the year comes this Saturday against #5 Florida State. This game will focus on the quarterbacks for both teams. Tajh Boyd is the seasoned senior for the Tigers and has played exceptionally well against legitimate talent this season. Sammy Watkins has been Boyd’s main target, catching 36 passes for 582 yards and 4 TDs. Clemson football tickets rose 16 spots in the TicketIQ Top 25 rankings to #17, averaging $134 per ticket. The jump in the rankings is an incredible 31% increase. The rise comes as no surprise as Clemson hopes to fight for a chance to play for the title. Although they are 4-2, Florida did not want to be ranked #22 in the national rankings at this point in the season. The loss of starting quarterback Jeff Driskel was devastating for the Gators and the recent announcement that RB Matt Jones is out for the year does not help Will Muschamp going forward. Despite all of that, Florida football tickets actually increased four percent to an average ticket price of $154. The upcoming schedule is a major reason why Gator fans are still flocking to games. Florida still has #14 Missouri, #15 Georgia, #11 South Carolina, and ends the regular season at home against #5 Florida State. The slate of premier matchups will only help Florida ticket prices as the season rolls on. Remember to check back tomorrow for update #2.